I'm ready for the kids to come. I have my Happy Halloween shirt on. 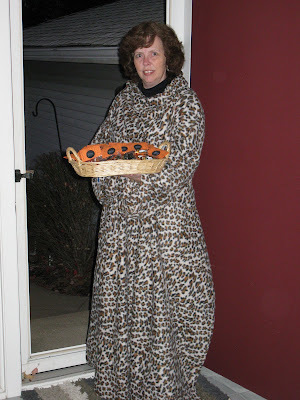 I am not wearing a costume this year. We decided to make treat bags this year just like we make for Meals on Wheels. 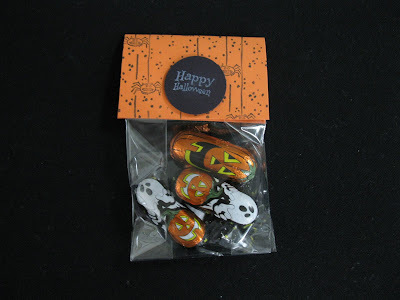 This year we used little candy ghosts and pumpkins from Malley's Chocolates. 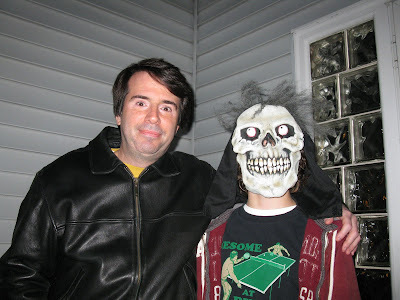 Matt got out one of his favorite scary masks. He and his friends were going to hide in the bushes and scare kids when they walked by. My mom told him, "No little kids." 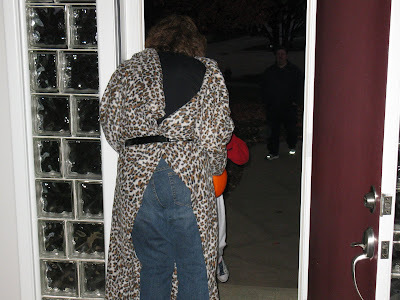 My dad said he was going to dress up as a "tired old man." Funny. Happy Halloween everybody. ...if you have been following us since last October, you may remember this retro photo. 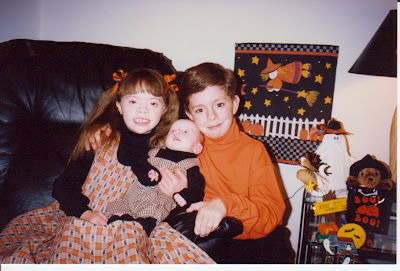 It was Matthew's first Halloween. He was just three days old. I was not sure exactly how much he would weigh or how long he would be, so I had the overalls basted together and neatly spread on the sewing counter waiting for the finishing touches to be completed once we arrived home after birth. 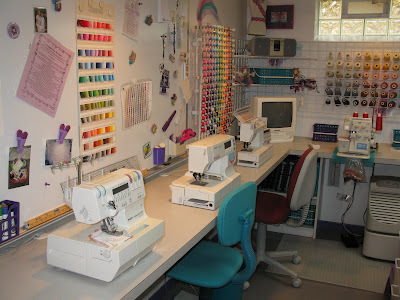 For several years, I had a little sewing business going on the side. I created custom wedding attire, baptismal and first communion dresses and gowns for black tie events. Those outfits help pay the bills. 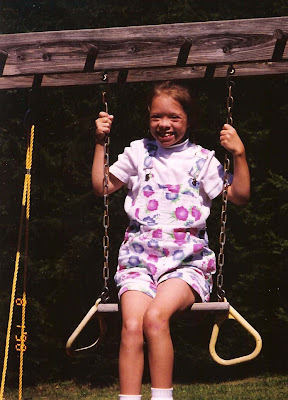 My favorite project though, was the line of clothing I designed for medically fragile children. It started with Sarah of course. Our initial hospital stay for her open heart surgery was projected to last seven to ten days. It turned into two months. During that time, I created a few outfits for her to wear that would accommodate all the various lines and tubes that she was attached too. She looked adorable and the nurses loved them. Then a few months later she was sporting a permanent trach. And that's when Jely Splats was formed. While the kids slept, I stitched. When I got pregnant with Matt I was concerned about not being able to complete dresses so I turned new brides away and slowly eased off the gowns and the fun clothes. Then last year Sarah and I started blogging. We were meeting new families at rapid pace and we started to receive questions from families who had children with trachs. 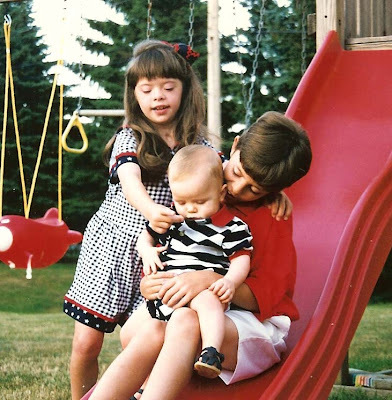 The day I read the email from a mom expressing her husband's disappointment that their four year old son looked like a baby because he was always wearing a bib, I cried. Most people would not understand the big deal that was. I not only understood, I felt the pain deep within my heart. I knew at that moment Jely Splats was about to get a second life. But today things are different. Sarah is not a little girl anymore. Neither are her friends. I have been in enough meetings over the past few months to know that jobs are tough to come by, especially for young adults who need some extra encouragement, some extra guidance. I started to wonder if they could sew? 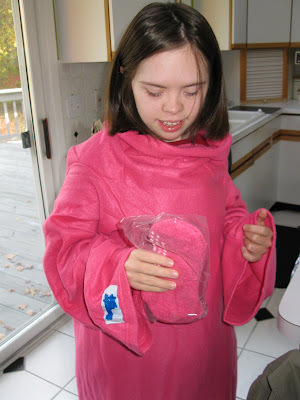 Would Sarah want to create garments for kids? Would her classmates? Then a month or so ago I went to Sarah's job training site to pick her up early to get to a football game. Somehow I got to talking with her teacher about sewing. I just could not belive it when she told me she used to work at Bobbie Brooks. As a seamstress. She knows the industry. 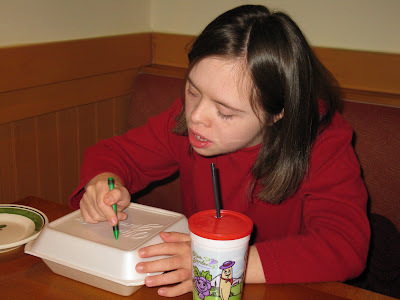 She also understands young adults with various disabilities. And she loves to go into New York City and shop for fabric in the garment district. The more we talked the more excited we both got. As I walked to the car that day I definitely felt this was another one of those By Chance or By Design encounters. We have had so many requests for a copy to print of the newspaper article we posted earlier today. 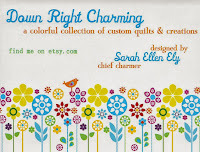 I've typed it below or send us an email to sarahely8989@yahoo.com and I will email you a clean copy in Word. You can nurture a relationship for years and ruin it in a moment if you can’t control your temper. -Hold your tongue. When you’re angry, anything you say can and will be used against you. It’s better to just say nothing. -Ask for more information. Many arguments are a result of poor communication. Clarification is better than confrontation. -Avoid using inflammatory language. If you must speak, don’t curse, don’t insult, don’t question motives or intelligence, and don’t bring up past offenses. -Take the high road. Admit you were wrong. Promise to try harder. Say you’re sorry. -Get a second opinion. Talk to someone else about the argument to get a more objective perspective. -Take a deep breath and smile. This will help you stay in control and drain away ill will. -Consider what’s at stake. Maybe it’s your marriage, or your job, or your relationship with a child, sibling or friend. Ask yourself whether the expression of your temporary feelings of anger are worth the risk of permanently damaging a relationship you value. -Work it out. Go for a walk or bike ride; play a game of racquetball; lift weights. Use exercise to exorcise bad feelings. -Get a good night’s sleep. 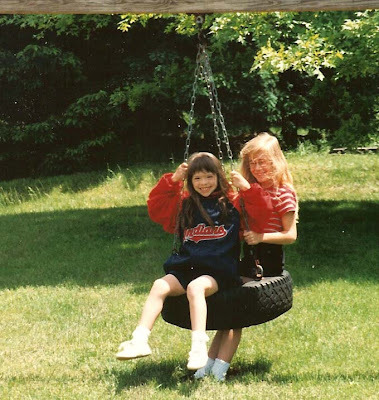 a message from Joyce: It is Thursday and the sun is shining in Cleveland:) which means I will be in the garage all day. Sarah mentioned last week that I have been so busy getting ready for some new adventures, which I will share very soon. In preparation, I have been spending a lot of time cleaning, organizing and filing. Much of what I have found is going straight into the recycle bin. But every now and then I come across something that makes me pause for thought. This article is one such item. I have been reading in blogland alot lately about relationships falling to pieces. Families torn a part. 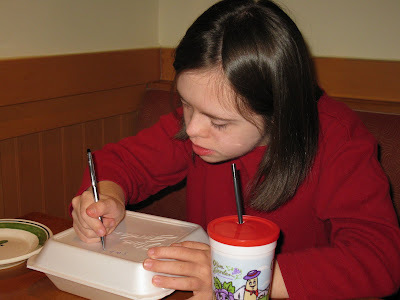 And often because of something related to our children with Down syndrome. It truly breaks by heart when I hear this. 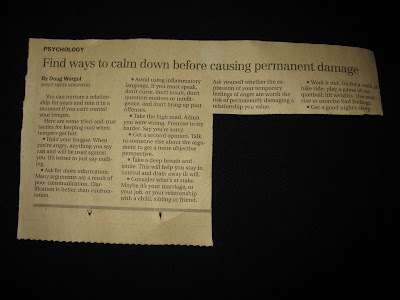 The following article provides some EXCELLENT advice for all of us. I know why I saved it. It is a good one to forward on to others. If you click on the picture you should be able to read it. It is worth your time. Matt has been in his room all night playing with his new game. I decided we need to have a little celebration for him. So I arranged for everyone to meet in the kitchen in 10 minutes. 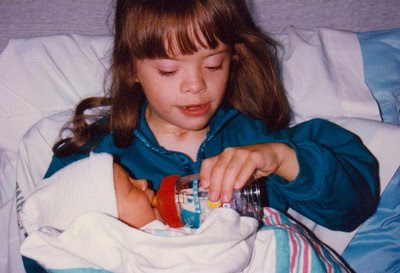 13 years ago today I went to visit my new baby brother in the hospital. I got to feed him a bottle. 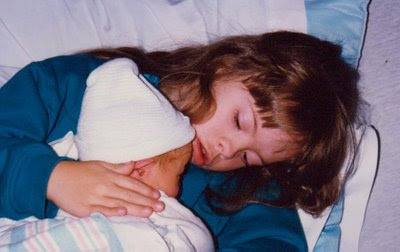 I was excited to be a big sister. I am so happy Matt joined our family. He is a great brother. Happy Birthday Matt!! a message from Joyce: I have a new best friend. He does not know it yet, but we share something pretty unique. Ironically, I had a post ready to go to introduce you to his mom, Ellen. I love her perspective on so many things. 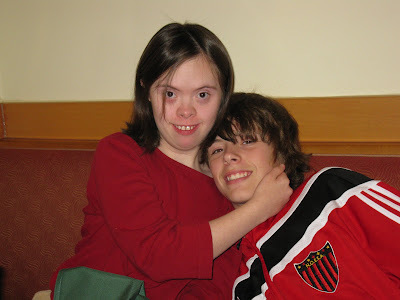 Her blog is one of the handful that I check everyday that has nothing to do with Down syndrome. Her son had a stroke at birth. She frequently shares her thoughts as a mom. She talks about her disappointments and fears. Her altered plans. She shares her son's journey including his recent stem cell infusion. And her darling daughter's take on all of life. 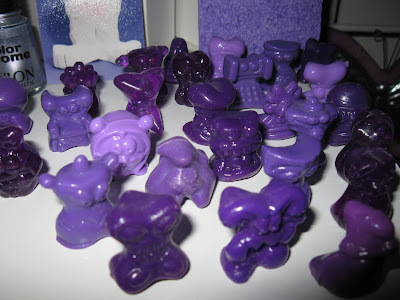 How about a purple Crazy Bones? No specific form necessary. 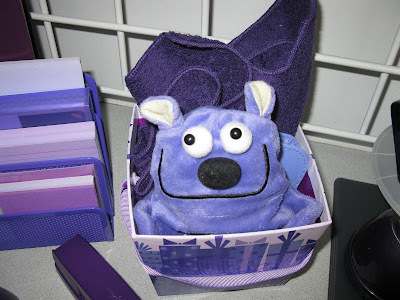 or maybe something like this little guy that sits on my desk? Ellen is a beautifully skilled and inspiring writer. 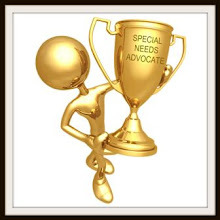 I was thrilled when her blog...To the Max...was recently chosen as the best "Special Needs" blog and is now a finalist in the over all category of best mommy blog. There is still time to vote for her to be a winner. Click HERE to read about it. My Grandma brought me a present. It is pink. Bright pink. I opened it and put it on. It is sorta like a blanket. But it has sleeves? It has matching slippers too. My mom is being silly. 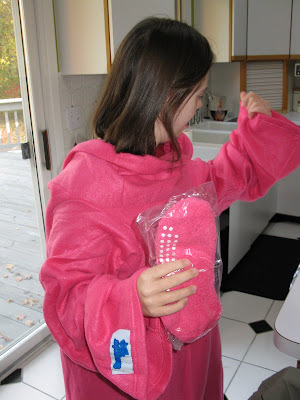 She said I could wear it for Halloween and people will think I am walking Pepto-Bismol. Then she said it is like a hospital gown because I am flashing everybody from behind. No Mom. Grandma said it is for when I am in bed or in my chair watching TV. Oh now I get it. It's a blanket but my hands are free to use the remote. 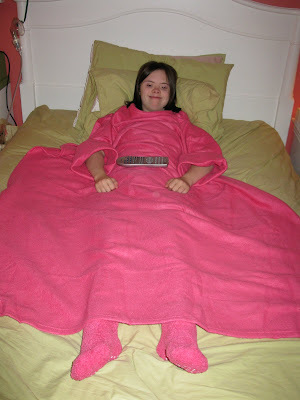 I love this Snuggie. Thanks Grandma. Good idea. Oh guess what? Matt got one too. Check it out by clicking here. 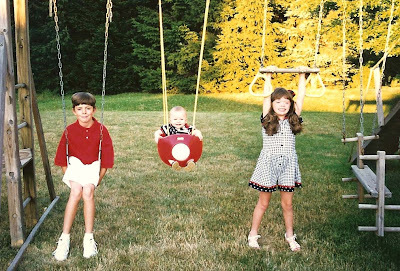 This week my little brother is going to be thirteen years old. So my Grandma & Grandpa came up to Cleveland today and we went to Olive Garden for dinner. I had chicken fingers. I can never eat them all so I got a box to take them home. 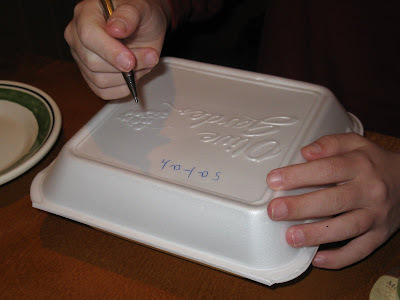 I wanted to write my name. This crayon did not work so good. So Grandpa let me borrow his pen. It worked great. See, it reads Sarah. That way it won't get confused with my mom's tortellini. I can't believe my little brother is going to be a teenager. Want to see some pictures of his big cookie? Just click here. Sorry I have not posted for a few days. I am fine. My mom has been so busy working on some exciting new developments that she will share with you soon. I want to tell you about something I am excited for. The cheerleaders from my high school are going to be on MTV tonight at 8:00. Me in 2007 wearing my Brush High School hoodie. It is the show called "MADE." One of the cheerleaders has a brother with Down syndrome, so I have been hearing all about the taping when the camera crews have been in town. They even went to her house to tape. How cool is that. I am a little worried though. The preview has them fighting and crying. But the producer told my mom's friend in the end it all works out. I hope so. I can't wait to watch it. a message from Joyce: Sarah and I have been blogging for over a year now. It has been an extraordinary experience in so many ways. 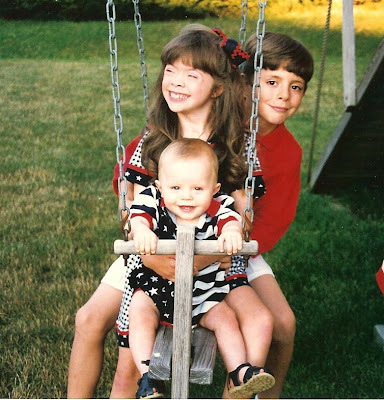 I believe I have mentioned before that we never encountered another family in the Cleveland area with the significant medical issues that Sarah endured in her early years. We traveled that part of our journey alone, and it was incredibly lonely. What I have been so pleased to discover with the blogging world is we no longer have to walk alone. 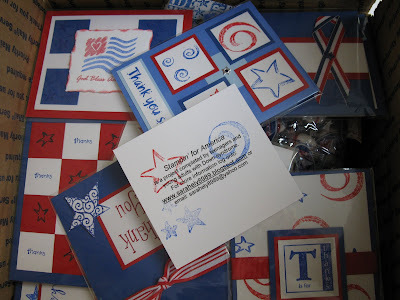 There are many wonderful families so willing to share their support and love. And to share their hardships. So that others may learn from them, but sometimes simply to vent because there are so few around our "live" world that understand. 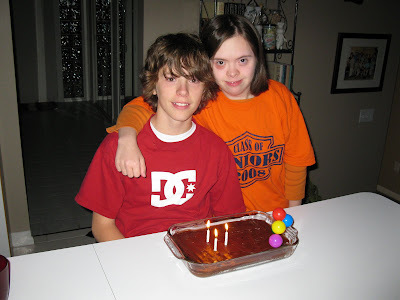 For the most part, Sarah and I have stuck close to the issue of Down syndrome. But there are a few blogs that I have come across that so inspire me. The writers are blessed with a gift of expression that I envy. Most are moms. Moms like me who either during their pregnancy or shortly after giving birth, had their dreams of a perfect child shattered. They are learning to cope with a different set of circumstances than they originally planned. Then there is Blogzilly. 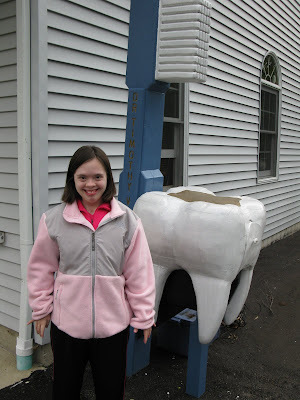 I first discovered this blog while posting a comment on Zoey and Heather's blog. I was intrigued by the name, and curious about the photo that accompanied it. Yet, what really struck me was the depth and insight of the comment that had been left. So I lurked on over to see just who was this creature. What I discovered shook me to the core. I spent the better part of that entire evening reading this story from beginning to end. As it turns out, Blogzilly is a father. With an adorable little boy who has been diagnosed with Infantile Spasms. I've noticed more and more kids with Ds also being diagnosed with IS as it is referred. Anyway, Blogzilly and his family recently came to the Cleveland Clinic for surgery. As he wrote about their ordeal, I could picture many of the scenes he was describing. 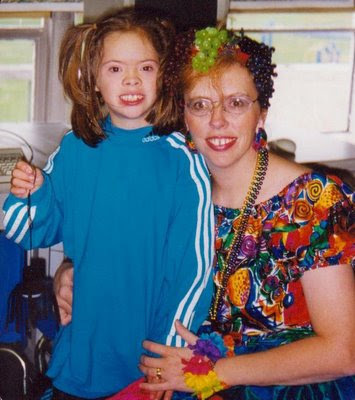 Sarah had often been in one of the rooms across the hall from M-35 where the children were taken after their brain surgeries. That's not why I keep going back to read the blog though. 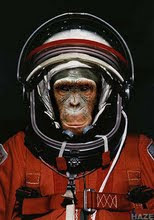 An addendum: I forgot to mention...as you can tell from his comment to me today...he has a superb sense of humor too. Thanks for giving us a glimpse into your world Ken, you are a gem. All the best to you and your family. LOL!! Does this mailbox give you a clue? I even had a panoramic x-ray taken. It is pretty cool how that thing moves around your head. You can see it in the video below. I had to stand really still. The dentist wants to see where my wisdom teeth are. Guess what? I only have three. My mom was sorta happy about that. She thinks we should get a big discount when it comes time to take them out. She also talked to Dr. Vala about me getting braces. I'm not happy about that. I said, "No way." "C'mon Mom. Right now I have to go to yoga," phew got out of that fast. Over the years I have been in the hospital for so many holidays. That's how I know that the Easter bunny arrives in a white limo and Santa Claus doesn't always come down a chimney. Sometimes he rides an elevator. And the Halloween witch doesn't just ride a broom, sometimes she rides in a wheelchair. Do you recognize these? I gave you a little sneak peak a while back. 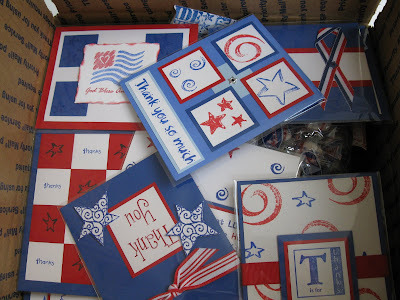 They are the new Build-a-Bear die cuts from Stampin' Up! I have to dress them now. ...and now a witches hat. ...here is what our first batch looks like. I have to start over now to make some more. I'm still looking for pictures of my playset. Look how cute my baby brother is. A few more pictures on my playset. My next trick would be hanging upside down. My mom does not have any pictures of that because she said she always ran to make sure I did not fall. It would not have been good for me to fall on my neck with my trach. 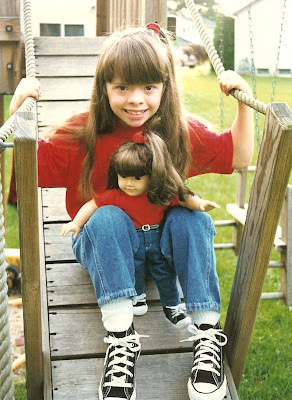 Here I am with my best friend Stacy. We spent a lot of time out here. 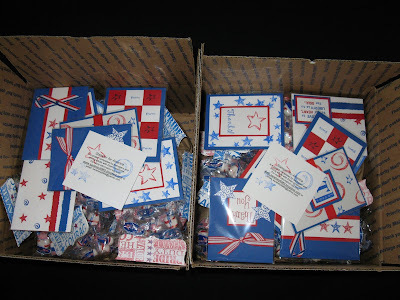 We have two more Stampin' for America big boxes ready to go. 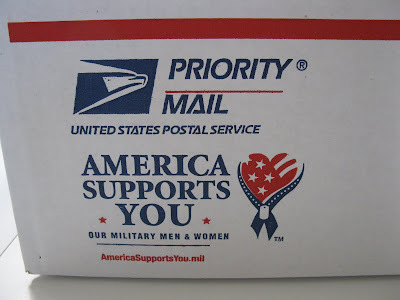 We send them to men or women who are serving our country in the military. The big boxes are designed for someone who is currently with others so they can share. ...and a little note about this project (click the picture to read it). It is all inside this neat box we order from the post office. If you know someone who would enjoy getting a box, please send me an email to sarahely8989@yahoo.com with their name and address. They can be shipped anywhere in the world. 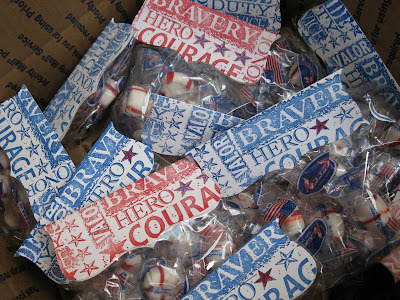 We also always have small individual boxes ready to go all the time. ...you are not walking alone. Soeren understands. We understand. Together we will educate and advocate. One step at a time. If you want to watch the entire speech, copy and paste the following link into your browser. ...it could cause such hurt, such pain, such emotion when a bully uses the "R" word ? A message from Joyce: This is a continuation of an ongoing saga...click here to read more. We have been living with this situation for two weeks now, so my thought process is well massaged. Had this call come in the day after Matt punched Gus for calling his girlfriend "retard" multiple times, I would have been angry. I'm sure of it. But after looking at the situation with more rational eyes and reading the many wonderful comments from our readers - Thank You - I see this as more of a teaching opportunity. An experience to learn from and to share with others. Yet as I sat in that bus shelter I started to wonder...will we ever really get the general population to understand? Just that morning when I signed into Yahoo a big headline popped up about Guy Richie declaring he still loves Madonna, "but she is so retarded." What does that mean? Then there is the new Chris Rock documentary released on Friday. Al Sharpton describes the fact that more black hair salons are owned by whites and Asians as "economic retardation." 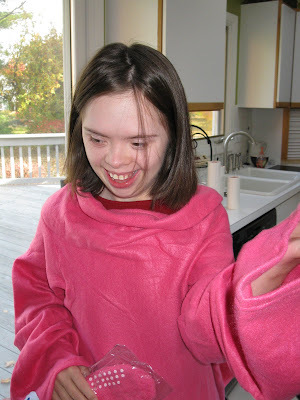 Lisa over at Finnian's Journey did a great post about it this weekend. If you watch the latest episodes of the Kardashian sisters that play over and over and over on the "E" network, you hear Khloe call Kourtney "retard" multiple times in just one half hour segment. The word is everywhere. So how are we to get others to understand the pain caused to our families by the over use of this term in a hurtful, derogatory way? One small step at a time. I'm not sure what the motivation is for Gus's mom to turn to the police in this matter. Was Matt wrong to punch? Of course. But this was not just some streetyard brawl over typical twelve year old stuff. This involved something greater, far greater. 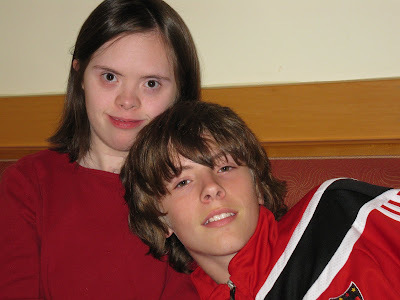 Yet to the family that does not have a member with a diagnosis of mental retardation defined by the Stanford Binet scale, they just do not understand what we are thinking, what we are talking about. I get that. I really do. Our first task though is to get Matt to the police station for an interview. My gut tells me we best involve an attorney in this matter. But how does one find a defense attorney that can see the bigger picture, that understands our mission? One who has worked with juveniles. ...at CEVEC. That's were I go each day for my job training program. 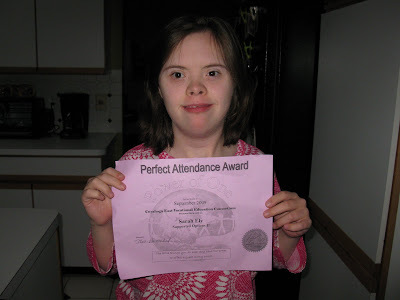 Once a month we have an awards presentation and today I got the "Perfect Attendance Award." I was really proud of myself when I brought it home. I also received a coupon to pick something from the snack shop. My dad gave me a hug and said he was so proud of me because to have perfect attendance means I got up and went to work everyday and that is important. My mom loves the sentence on the bottom that reads, "The little things you do each day have the power to affect a great many people."